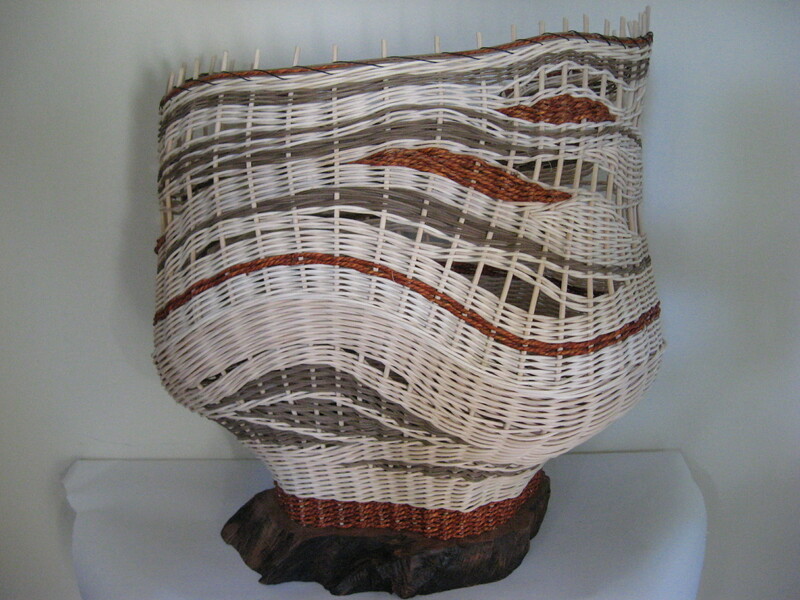 I made these lamps for entry to Lark books 500 Lights series. I am sending them off tomorrow and won’t hear if I am successful til Nov. Here’s hoping. 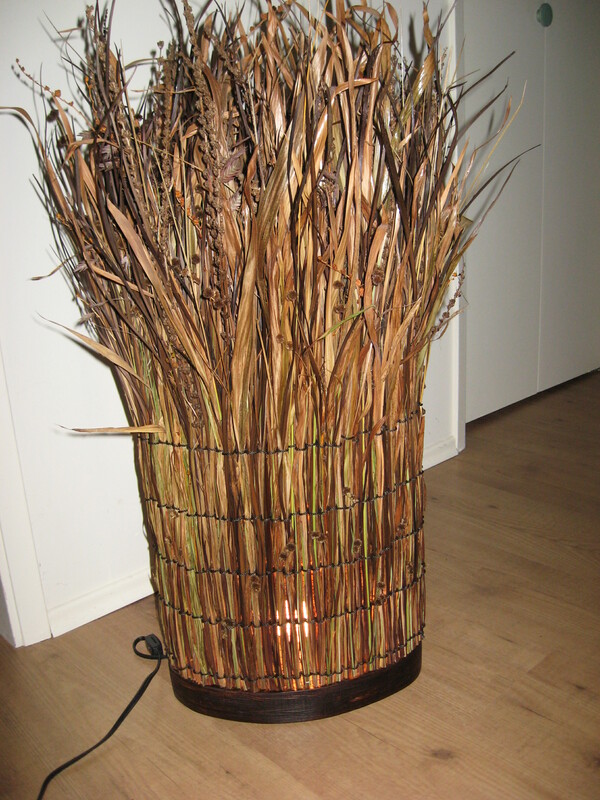 The Naturals lamp was made with grass, montbretia and iris leaves, rushes, seed heads and oat grass. All collected from my garden or the roadside. 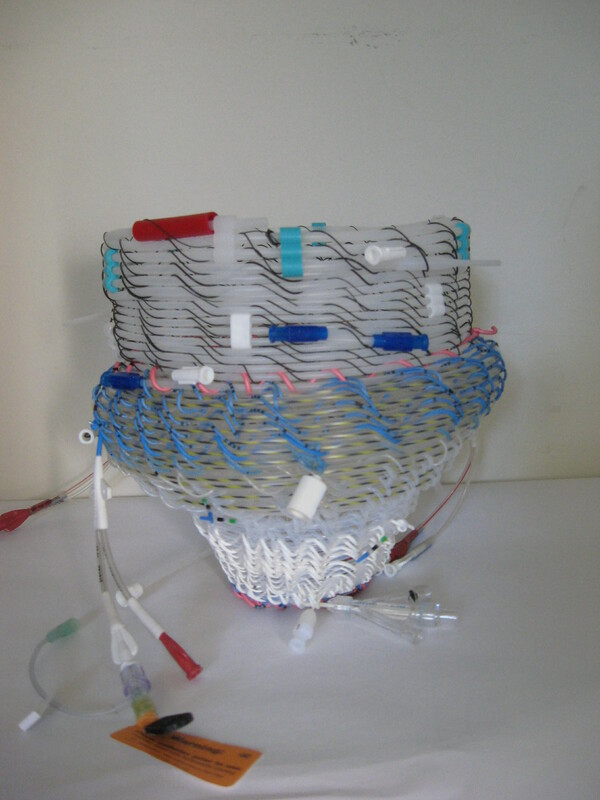 I made this basket, from unused catheters that were not going to be used, for the Re Cycle Re Vision exhibit on Granville Island this summer. 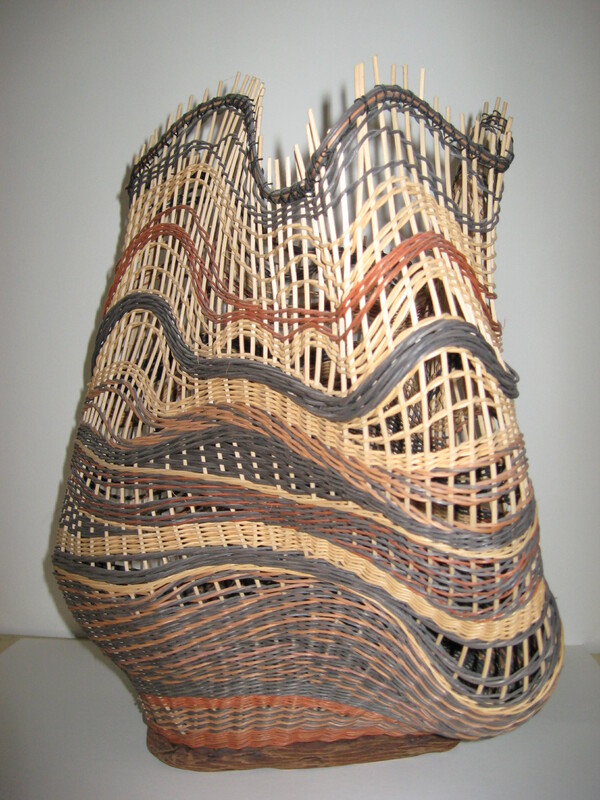 This entry was posted in Uncategorized and tagged lamps. Bookmark the permalink.